If you’re a meat-eater, and a Maritimer, chances are you have ordered a donair at some point in your life at 3 am, a tad worse for wear, and demolished a donair. At the end of it all, you’re left with just one wish, that you could have one every day. Well, I’m here to tell you that the dream is now a reality, with home rotisseries currently on sale at eBay for just $105 CDN. There is a God. 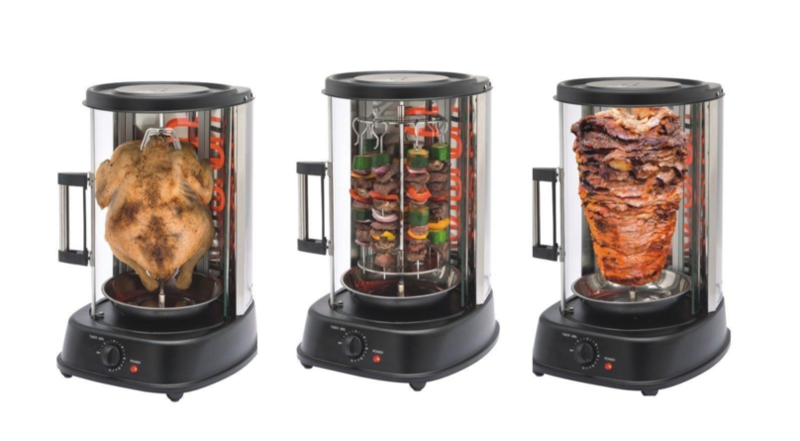 Kitchen appliance firm Daniel James launched the revolutionary piece of kit and it’s big enough to cook a large chicken or up to seven donairs at once. At. Once. It can also cook up to three plates of veg – or fish – so with the weather getting a bit better and summer on the horizon, no one will be left out at the BBQ. And it’s also ‘compact’, which makes it ‘ideal’ for the home or camp this summer. What more could you want? 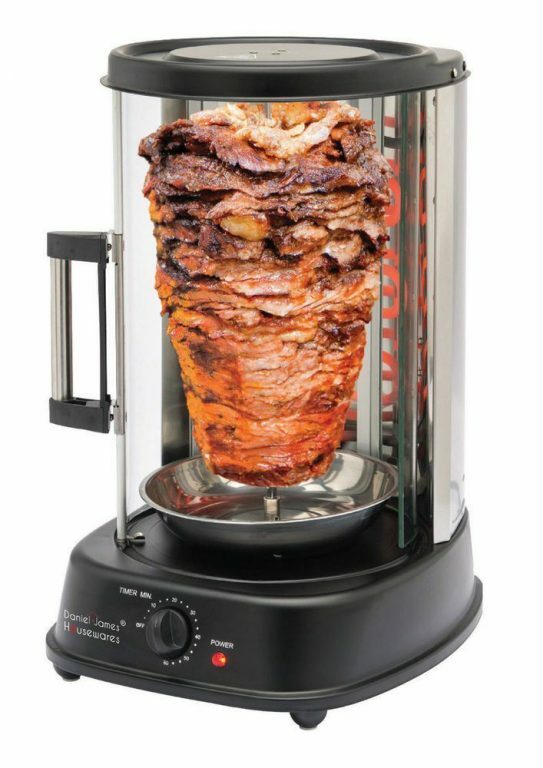 Most of what you’ll find online for Donair/Kebab rotisseries are restaurant grade that need natural gas, not this bad boy! While this is listed on the UK Ebay site, they do ship to Canada for about $68 CDN, a small price to pay to have a slice, or should I say meaty goodness, embarassingly stuffed into your face in the privacy of your home.